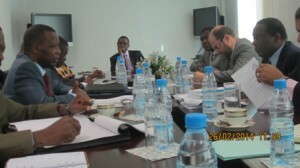 On 26 February 2014, Ambassador Francisco Madeira, AU Counter-Terrorism Cooperation Special Representative and Director of the African Centre for the Study and Research on Terrorism, together with ACSRT staff members, received a delegation led by President Pierre Buyoya, AU High Representative for Mali and the Sahel (MISAHEL). 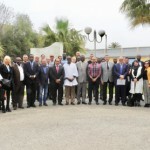 The visit was aimed at acquainting ACSRT and MISAHEL with the mandate and activities of each other, align and streamline common areas of activity with a view to designing a cooperation modality that reflects coherence, avoids overlapping and ensures an effective and proactive complementarity. H.E. President Buyoya indicated that MISAHEL was established to ensure AU contribution to the efforts to stabilize the situation in Mali and the Sahel to combat insecurity, promote development and bring peace and stability to the region. To this effect, MISAHEL adopts a holistic approach which comprises political, security, economic and socio-cultural factors. In pursuing these objectives, priority is put on reinforcing good governance, combating insecurity in all its forms (terrorism, organized crime and armed banditry,…) and promoting development. President Buyoya stressed that real peace and stability can only emerge if our efforts to achieve these goals go hand in hand with the effort to promote development. In so doing, special attention should be paid to gender issues and the youth. H.E. Ambassador Madeira said that the ACSRT is an executive arm of the Peace and Security Department on matters related to terrorism. At the core of the ACSRT’s structure is a network of national and regional focal points linked to the ACSRT through a secure communication system based in and coordinated from the ACSRT itself. 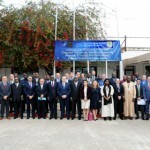 With this effective communication mechanism, the ACSRT can establish real time contact and exchange information with all its focal points, transmit alerts and other early warning products, and receive relevant CT information from the AU Member States. 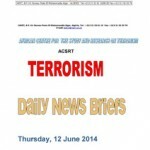 The Mandate of the ACSRT is to organize, update and keep a database of terrorists and terrorist groups as well as terrorist activities in Africa and beyond; carry out research, study and monitor CT trends and developments; and issue alerts and recommendations on steps to be taken to counter specific terrorist threats. Another core function of the Centre is providing training through workshops, Seminars and symposia with a view to enhancing the scientific, technical and operational capacity of AU Member States. President Buyoya and Ambassador Madeira agreed to work together to come up with a work programme and co-operation modality that will enhance the effectiveness of the AU action in Mali and the Sahel Region in general. 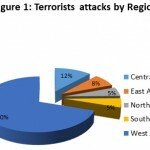 They identified Counter- Violent Extremism (CVE) as one of their initial areas of joint activity.